People who lived in the middle ages smelled pretty bad. Observe the fact at hairboutique, “Baths were actually considered unhealthy during the Middle Ages and during the Renaissance. Queen Elizabeth I supposedly bragged, “I take a bath once a month, whether I need it or not.”"
the weirdest thing is that each of these cleaning products have their own domain name and website. i guess it means they’ve made their mark. after years of experimentation with various cleaning products, i’ve coming up with my cleaning trinity. 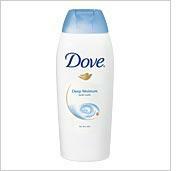 Dove: Ok, I admit it. the 1/4 moisturising cream gets me. too lazy to apply moisturiser when i was overseas, this is a godsend. smells good, my skin ends up soft, it’s liquid soap, so it’s easy to apply and wash off. Head and Shoulders: I’ve never really figured out how well this “anti-dandruff shampoo” actually works because i’ve never really used any other shampoo. ah well, the shampoo is a cool blue though. 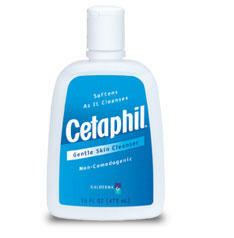 Cetaphil: Cetaphil to me is the king of all cleansers. Have you ever used one of those Japanese facial cleaners that’s supposed to be really effective? I have and they work as advertised, too well in fact. at the end of my face wash, it feels like every iota of moisture has been ripped off my screen. Especially since I have sensitive skin, i’ve found that Cetaphil is really good because it’s dermatologist-tested to be hypoallergic and has some moisturising properties as well. Besides, the fact that it’s actress Teri Hatcher’s preferred cleansing product can’t hurt as well. There you have it, the holy three for me. Posts like this brighten up my day. Tnakhs for taking the time. up. Woh I am glad to find this website through google.